SS Rajamouli-Ram Charan-Jr NTR Film Budget On The Lines Of Baahubali? One of the biggest film announcements this year came in the form of filmmaker SS Rajamouli unveiling his next two weeks back. Tentatively being called RRR, this film will be Rajamouli’s next after the stupendous and blockbuster success of his Baahubali franchise, with the second installment, Baahubali: The Conclusion aka. Baahubali 2 going on to become the first Indian film to surpass the Rs. 1000 crore mark at the box office. RRR will see actor Ram Charan joining hands with Rajamouli after the success of his latest period action drama, Rangasthalam. Yet another Telugu superstar Jr NTR too has been announced to be part of the cast and we can expect his role in the film to be given massive importance. Meanwhile, reports on the budget of RRR have been doing the rounds for sometime now and it is said the film will be made at an estimated budget of over Rs. 200 crores. It must be noted that Baahubali: The Beginning was made at a budget of nearly Rs. 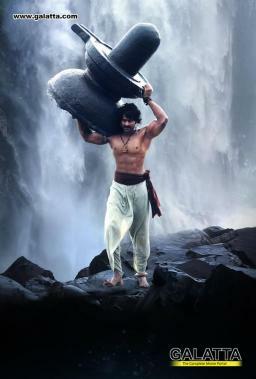 180 crores while Baahubali: The Conclusion was made at approximately Rs. 250 crores. To be produced under DVV Danayya’s DVV Entertainments banner, RRR will be made in Telugu, Tamil and Hindi with production expected to begin from October.